As we discussed in our GR Supra numbers comparison last week, the £52,695 starting price for the ‘A90’ seems bang on the money considering where the car’s rivals sit. It’s not like you’ll be able to inflate that price by much, either: the fully-loaded A90 Edition is £56,945. 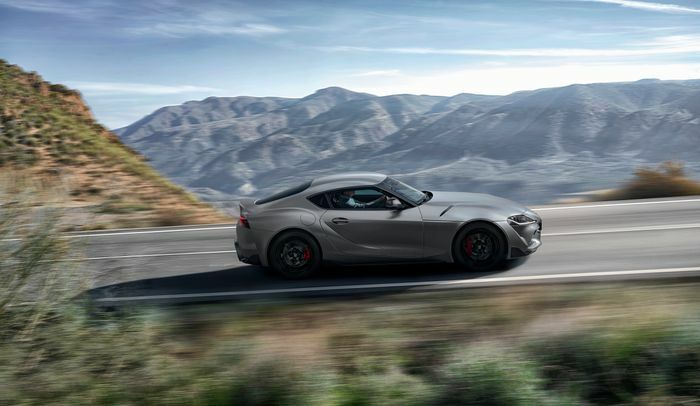 The Toyota GR Supra you see here, however, went for a little more than that. 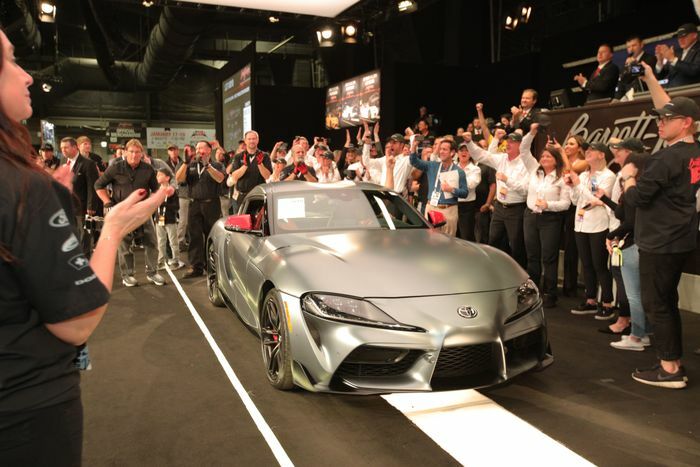 It’s the very first Supra off the production line, and it went under the hammer at the 48th Annual Barrett-Jackson Scottsdale auction of for $2.1 million, or 38 times the usual price of a ‘Launch Edition’ Supra in the USA. It’s for a good cause, too. Proceeds will be going to the Bob Woodruff Foundation, which “Funds and shape programs benefitting post-9/11 impacted veterans and their families,” plus the American Heart Association. Spec-wise, this GR Supra is unique. It has the red mirror caps, black wheels, red leather interior and carbonfibre cabin inserts of the US Launch Edition, matched to the matte Storm Grey exterior finish of the A90 Edition cars. 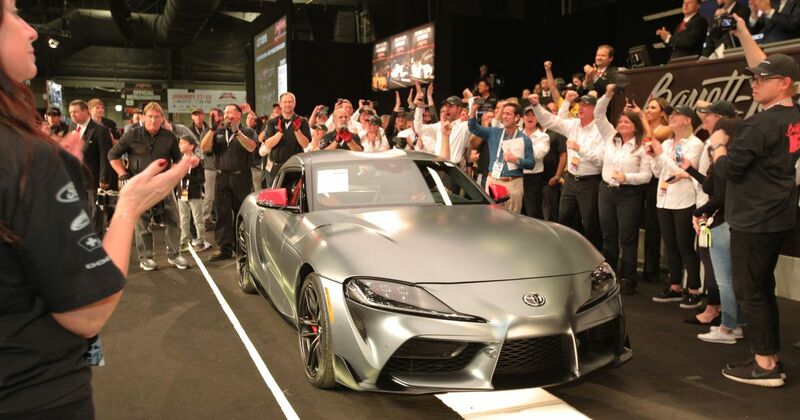 The GR Supra in question is referred to as ‘Global #1’ and wears the VIN 20201.